number of iPhone XS and iPhone XS Max owners are reporting sporadic issues with getting their new devices to charge properly. There appear to be several varying experiences of the issue. The most common situation is an iPhone refusing to charge when plugged into a wall outlet until it is woken up by Tap to Wake or being raised by hand. Normal iPhone charging behavior, of course, results in a charge indicator and a signature “ping” when a device is plugged in. This does not occur until after an impacted iPhone is woken up. Other owners report iPhones that won’t charge unless the Lightning cable is removed and reinserted, or flipped over and reconnected. In-the rarest cases, an iPhone will become entirely unresponsive when a Lightning cable is plugged in. Again, while the issue doesn’t impact every iPhone XS or XS Max device, it’s not clear just how widespread it is. But there are-at least a hundred posts in more than a dozen threads across various forums and social media sites describing the issue. Popular YouTube channel Unbox Therapy tested a handful of iPhone XS and iPhone XS Max devices — comparing them to a single iPhone X. 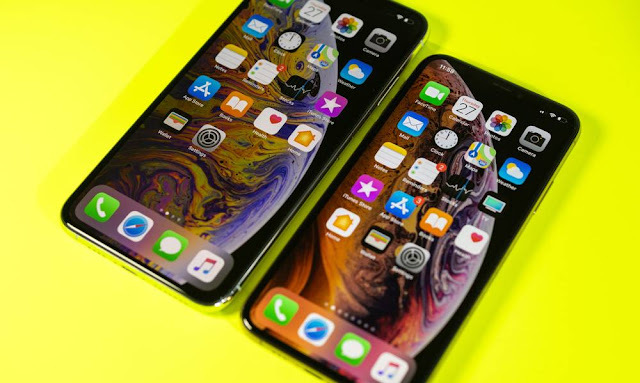 While the 2017 handset charged, as usual, two out of four iPhone XS and three out of four iPhone XS Max units experienced the bug. It’s also unclear whether it’s a hardware issue or a software issue, but most of the reports suggest that it could-be a problem with Apple’s latest software update. Most notably, some users and media sites have experienced the bug in Older devices, like an iPhone 7 or iPad Pro, that have been updated to iOS 12. At least a couple impacted users who have had their iPhones replaced by Apple over The last couple of days are experiencing the exact same issue with their new Handsets. A few users have theorized that the problem could be tied to USB Restricted Mode, which shuts down the Lightning port’s data transfer capabilities if a device is locked after a certain amount of time. On the other hand, Apple says that the new security feature should not affect charging at all. And impacted users report that disabling the feature doesn’t fix the charging bug. There’s also a chance that the issue could be the result of charging hardware-related issues. Just a couple days ago, Belkin said that some of its charging accessories are not compatible with the iPhone XS, iPhone XS Max, or iPhone XR. While many users claim that they’re experiencing the bug when using a 5W power brick and a Lightning cable, there are other reports of the charging issue occurring when using a wide variety of first- and third-party charging accessories — from car chargers to Qi-based pads to Apple’s 29W power bricks. Currently, Apple has not publicly acknowledged the issue. Based on the number of reports, it is probably aware of it at this point, however. If the issue is Software-based, we expect an emergency update to iOS 12 to-be coming sooner rather than later.